William Hartnell: Genesis of the Doctor | Warped Factor - Words in the Key of Geek. Dr. Moo takes a look at how The William Hartnell Years influenced everything that came since. 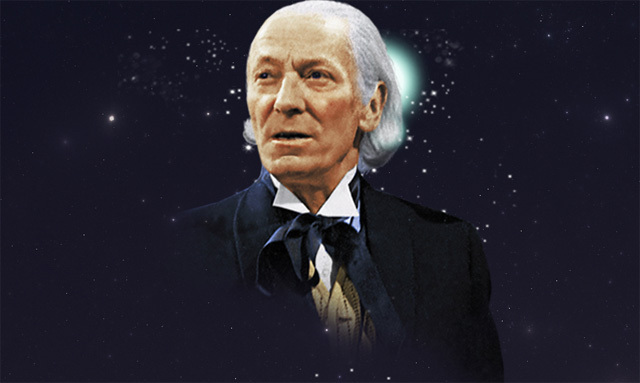 I believe the First Doctor is one of the most underrated takes on our beloved Time Lord. Played by William Hartnell between 1963 and 1966, this was the original incarnation and it was here that it all started. Yet his reputation is so often hurt by forgetting lines, the notion that his successor was the first “modern” Doctor and for generally being an angry old git rather than the energetic hero the character would go on to be. But who cares that he isn’t some energetic, dashing figure? He’s an alien and he acts like it too! Hartnell wasn’t exactly a young man when he took the part (he was in his fifties, but that would make him seem older than today’s people in their 50s since back then you’d have had to survive two world wars) but he still totally commands the screen. If he’s around you can be sure that he’s the only person you want to watch. He doesn’t have the charisma that you’d get from your Tennants, your Smiths or your Troughtons but he has screen presence nonetheless. The First Doctor is also a much cleverer man than his successors. What’s more, they even acknowledge it themselves! Look no further than stories like The Three Doctors or The Five Doctors when the later incarnations do what they are told by this, the earliest incarnation, despite him being the one with the least experience. 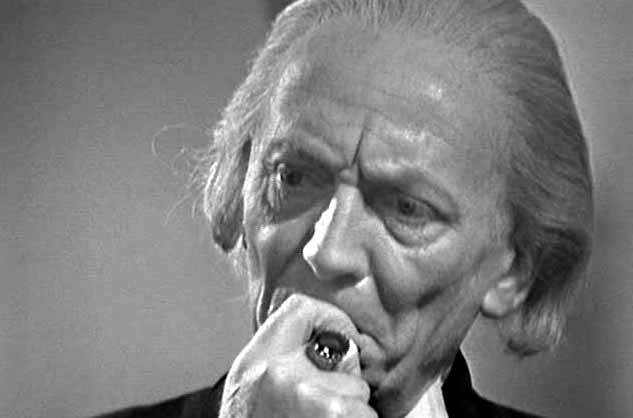 As well as this clear respect and undoubted genius that the First Doctor has he also brings a sense of mystery to the table. 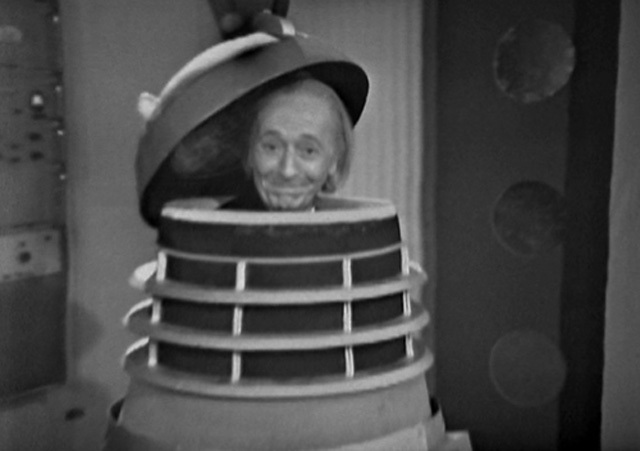 We need to remember that it wasn’t just the audience who knew nothing about his origins but Hartnell himself! The idea of the Time Lord race was unknown, he was simply an alien from another world and that was it. Hartnell capitalises fully on this sense of mystery with a performance where you consistently had no idea what was coming next from him. There was always more to Hartnell’s Doctor than met the eye. You always knew there was some ingenious plan being prepared behind those huge eyes of his and you get the impression that he could do something magical at any moment. This could take the form of something unexpected, often mischievous. 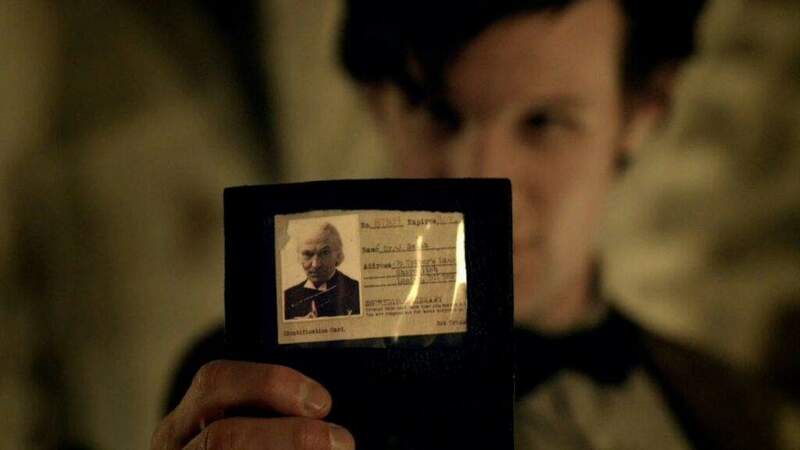 Many people (myself included) saw Matt Smith’s Doctor as being “an old man in a young man’s body” and we can just as easily say the reverse was true for Hartnell. His anti-authority stance and strong rebellious nature demonstrate this. So clearly Hartnell believed that whatever Troughton would do with the role was a worthy follow-up to what he’d done already. It’s obvious that Troughton reinvented the part, nobody can doubt that, but it was all built upon foundations set in place by Hartnell’s performance. 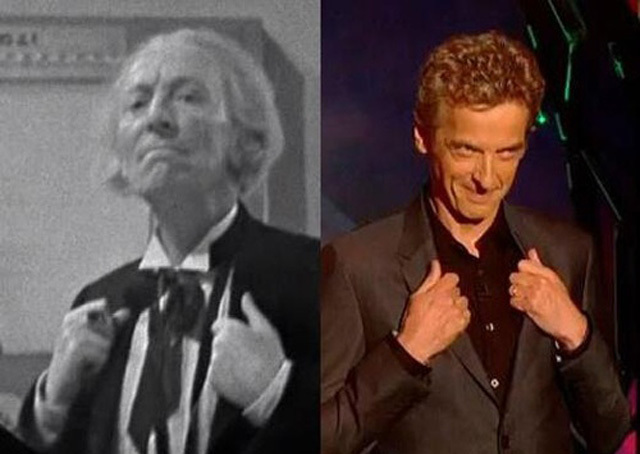 When Peter Capaldi was revealed as the Twelfth Doctor the very first thing he did was copy Hartnell’s signature lapel grab. That’s telling of the impact Hartnell’s performance had on him as a child. It’s not just the Doctor’s characteristics that made their debut under Hartnell but also the kind of adventures he got up to. Battles with a rogue Time Lord? I give you the Monk. Dalek epics spanning across the whole of space/time? He’s got two of them! Working with the military? The very first example of that comes here. If you want comedy then you’re spoiled for choice. Even romantic entanglements get a look-in! Hartnell nails all of these by the way. His Doctor was also the first to lose a companion, and the understated despair that comes with it is an acting masterclass. Similarly the sadness as companion Steven leaves the TARDIS (albeit temporarily) results in a simply beautiful speech as he reflects on all his companions up to that point and how much he misses them all, and his “someday I’ll come back” monologue to Susan has achieved iconic status – those of you who think only the modern Doctors get epic speeches should think again! The only thing absent from Hartnell’s performance is the high-adrenaline action, but there are still stories that have you covered here and Hartnell has stunt doubles to take care of it. The pace of the stories may be a little slow but that allows for the characters and plots to be fleshed out so it’s not a bad thing at all. As a result stories are longer and so epics are the norm. The Doctor himself is also a fascinating figure to watch as the series progresses. When we first meet him he’s presented as an enigmatic, almost villainous, figure about which we know next-to-nothing. The first thing he does is forcibly kidnap two innocent people whose only crime was to try and protect someone. It’s not long before we see him trying to bash in someone’s head with a rock, and at one point he even threatens to throw these two teachers out of the TARDIS while in-flight, effectively a threat to kill them. But he grows to become so much more than that! When we see him make his “promise” to the Sensorites, when we see him standing up to the war machines, when we see him protect his friends on trial on Marinus, and when we see him rescue his friends from the Daleks in a hostage situation, all of these times and more serve as proof that he’s grown from a villainous figure into a hero, and his personal growth is marvelous. We’ve seen similar happen with the Sixth, War, Ninth and Twelfth Doctors since then but the First Doctor’s development is the clear inspiration. 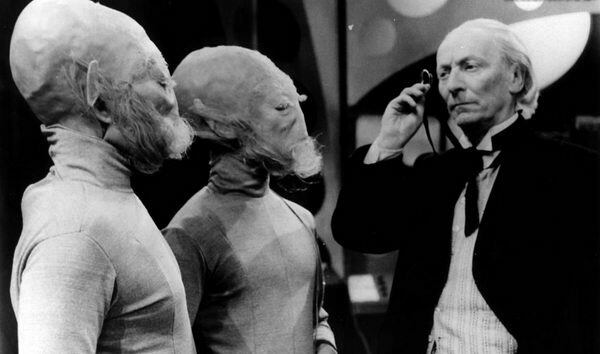 Speaking of the Sensorites, in 2008 episode Planet Of The Ood we learn that the Ood are relatives of the Sensorites – so one of the most popular monsters of the revival can trace its origins to Hartnell as well. When William Hartnell was cast there was nothing known about the Doctor. All anyone knew was that he was an alien on the run from his homeworld. What this homeworld was, who his people were and why he was running were all unknown at this point, and would stay this way until three years after he left. The show’s title reflects this – Doctor Who? – and so without this knowledge of who he was (or, as we would say today, “his motivation”) Hartnell had a tricky job to do if he were to make the character work. The fact that he overcame all of this to do the impossible and create what is probably TV’s greatest ever character is a true testament to his performance. I doubt he would ever believe that this Doctor, the same Doctor rather than some rebooted or reimagined version, could still be going strong some fifty years after he exited the show. Yet that’s exactly where we are now. Show me another actor who can do such a thing.